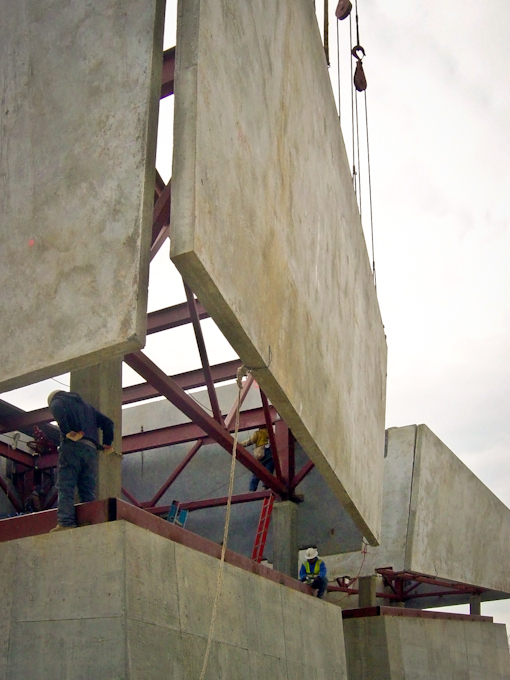 Non-traditional applications of Tilt-Up concrete construction provide very different solutions for two high-profile museums. In a testament to the versatility and applicability of Tilt-Up concrete construction, two recent projects — the expansion of the Saint Louis Art Museum and a new home for the National Museum of Health and Medicine — explore very different and innovative, non-traditional uses of the method. 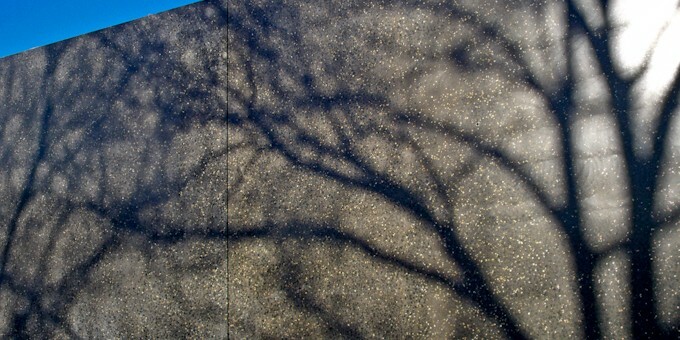 The concrete wall panels creating the dynamic geometry of the National Museum of Health and Medicine serve solely as a frame for the building and are clad with stone and metal. 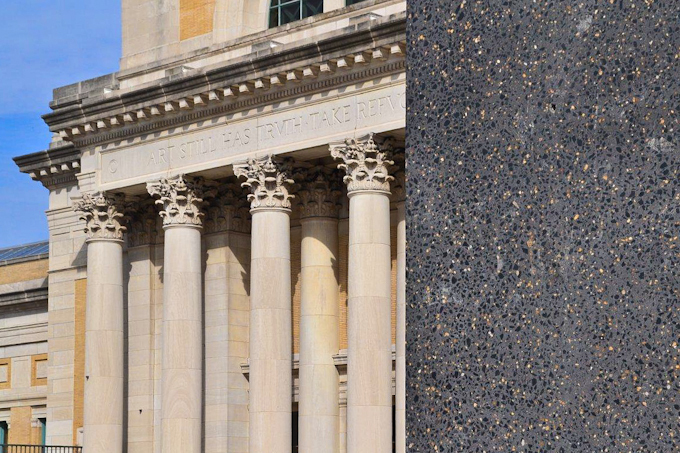 Contrariwise, the monumental polished panels produced for the Saint Louis Art Museum are not a contributing element of the building’s structural system; they serve simply as a façade. 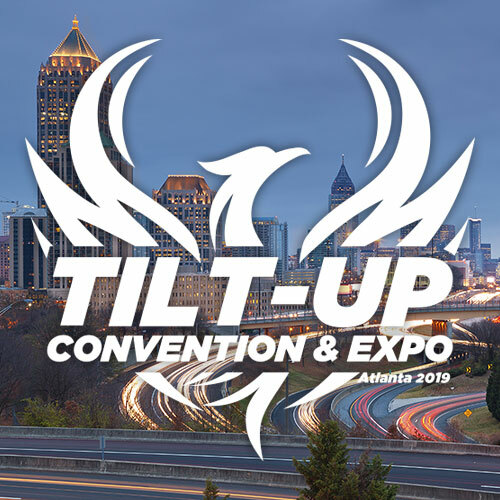 In both cases, Tilt-Up has presented itself not only as a workable solution to a demanding proposition, but a practical and efficient one and, by some accounts, the only one. In 1862, Surgeon General William Hammond directed medical officers in the field to collect “specimens of morbid anatomy together with projectiles and foreign bodies removed” and to forward them to a newly founded museum for study. The National Museum of Health and Medicine was established during the Civil War as the Army Medical Museum. 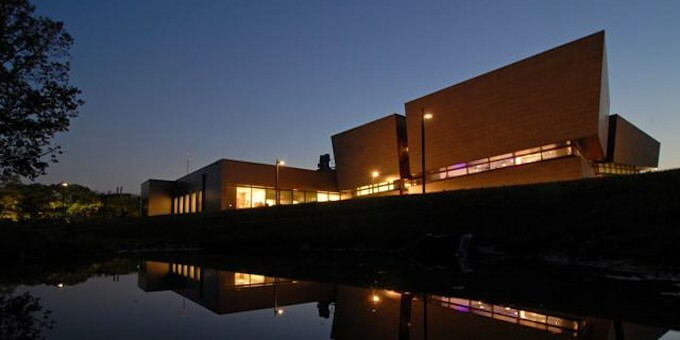 A center for the collection of specimens for research in military medicine and surgery, it inspires interest in and promotes the understanding of medicine with a special emphasis on tri-service American military medicine. Recognized for its ongoing value to the health of the military and to the nation, the Museum identifies, collects, and preserves important and unique resources to support a broad agenda of innovative exhibits, educational programs, and scientific, historical, and medical research. 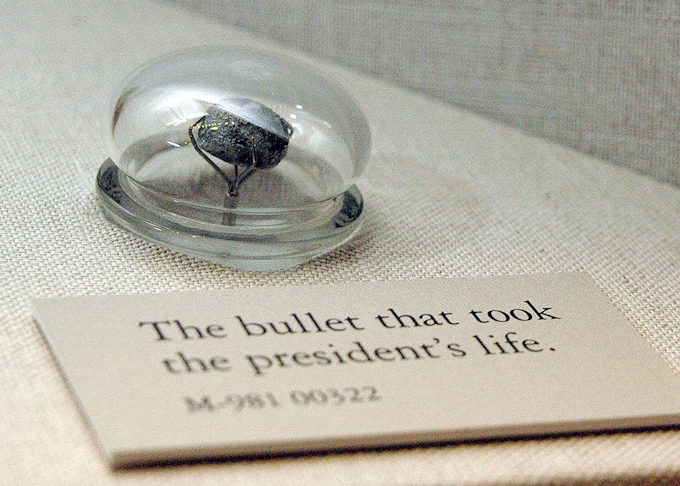 Home to the bullet that killed President Abraham Lincoln and myriad other morbid oddities, the National Museum of Health and Medicine recently opened the doors to its new building in Silver Spring, Maryland. 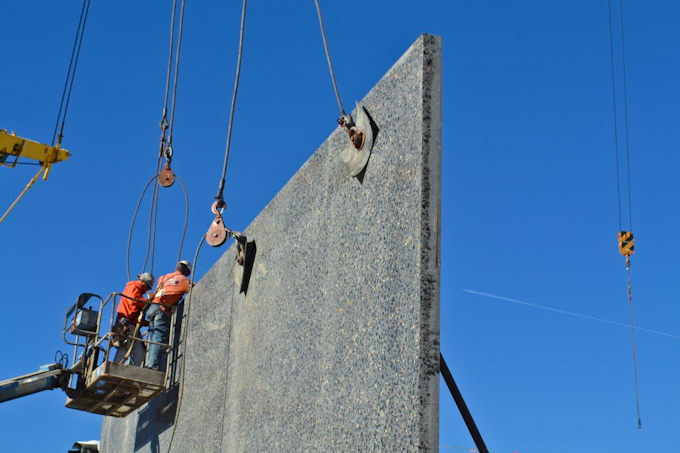 The US Army Corps of Engineers awarded TCA Member, Costello Construction of Columbia, Maryland the design build contract. KlingStubbins of Washington, DC, designed the project. 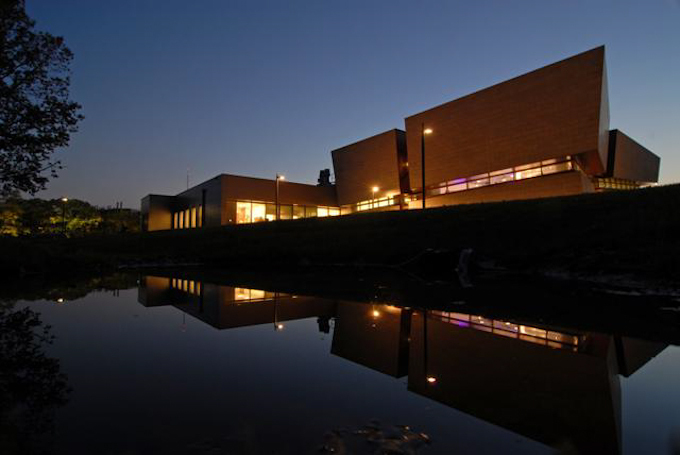 Previously located at Walter Reed Army Medical Center in the District of Columbia, the new facility, which stands right outside the gates of Fort Detrick’s Forest Glen Annex, provides greater pubic access and a permanent home for the institution. The National Museum of Health and Medicine is one of the first blast resistant Tilt-Up buildings in the United States. 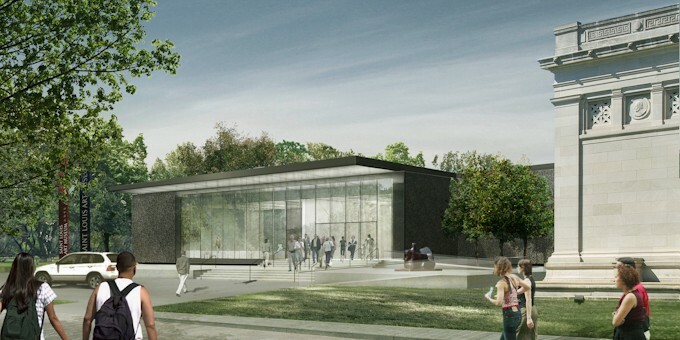 “The blast design and construction was particularly complicated due to the Museum’s location, which straddles the protected area of the Forest Glenn Annex,” explained David Costello, President of Costello Construction. The building was designed in accordance with the Unified Facilities Criteria (UFC), DOD Minimum Antiterrorism Standards for Buildings, including UFC 4-010-01 which is the primary guideline for blast-resistant design and construction. Dissected by bands of glass, the shifting volumes of the main exhibition space allow slices of natural light to penetrate the otherwise guarded structure. 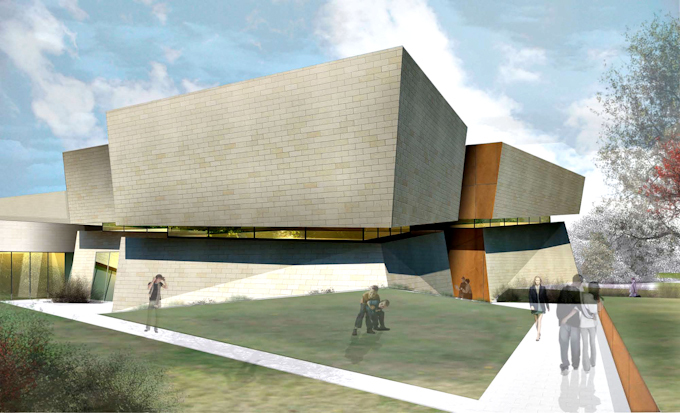 The dynamic form, clad in stone and metal panels, moves vertically and horizontally, stretching away from the center of the building. Deep overhangs resulting from the shifting volumes mark the main entrance created by the intersecting bands of glass. The sloping gallery walls were initially designed to be steel-framed. According to Costello, “the decision to use Tilt-Up construction was made once we realized that strict environmental moisture control needed for the interior of the building made the already-planned Dens Glass substrate unacceptable due to the high number of penetrations made while attaching the veneer to the substrate.” While the horizontal band of glass prohibited the use of conventional Tilt-Up panels, the use of somewhat less conventional Tilt-Up spandrel panels proved to be the perfect solution. The Saint Louis Art Museum, Located in Forest Park in Saint Louis, Missouri, is situated atop Art Hill overlooking the Grand Basin, the central gathering place for the 1904 World’s Fair. 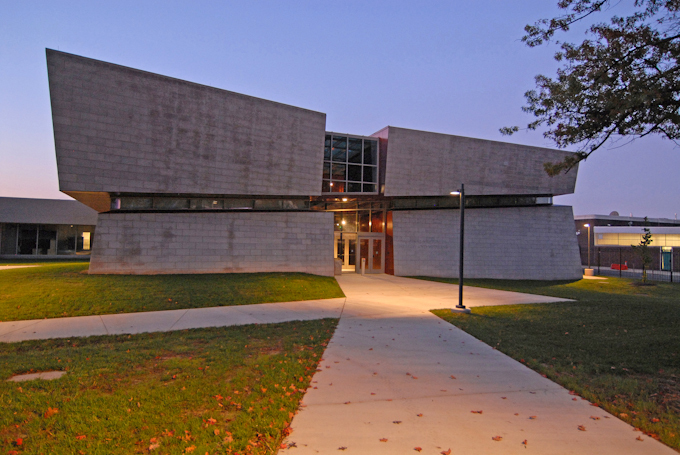 The museum is home to one of the most comprehensive art collections in the United States of America. Founded in 1879, the Saint Louis Art Museum, according to their mission, collects, presents, interprets, and conserves works of art of the highest quality across time and cultures; educates, inspires discovery, and elevates the human spirit; and preserves a legacy of artistic achievement for the people of St. Louis and the world. Designed by renowned American architect Cass Gilbert for the 1904 Louisiana Purchase Exposition, also known as the World’s Fair, the Saint Louis Art Museum’s original structure was the only building from the World’s Fair designed to be permanent. 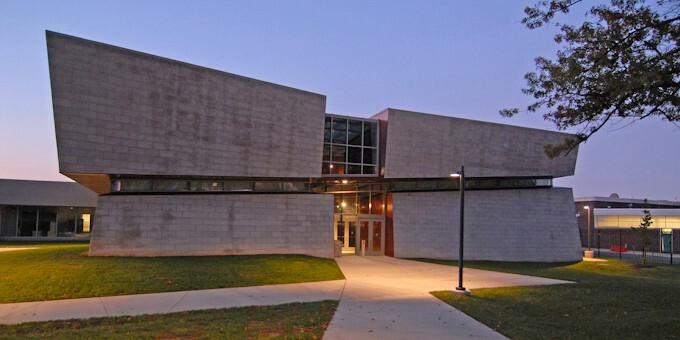 The building has undergone several modifications and a variety of additions including an administrative wing, auditorium, and conservation wing, added from 1980-1985, to make up the museum complex today. 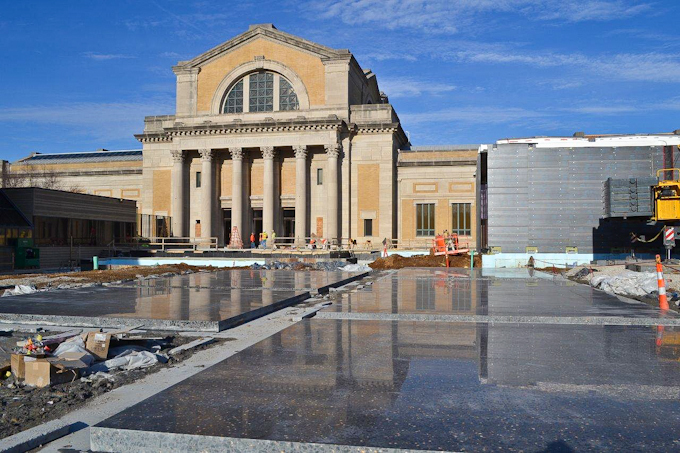 Although, the long awaited expansion of the Saint Louis Art Museum is quickly coming to fruition. 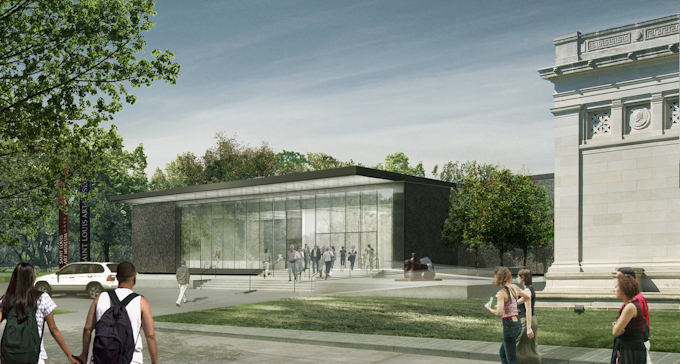 Without disrupting the monumentality of the museum’s original Cass Gilbert building and its relationship to the historic Grand Basin, the new expansion of the museum sensitively breaks from that formal language and extends into the park in multiple directions. The stark contrast created by the simplicity and darkness of the expansion keeps clean the reading of the original building and establishes a somewhat submissive attitude while sustaining its own sense of monumentality. 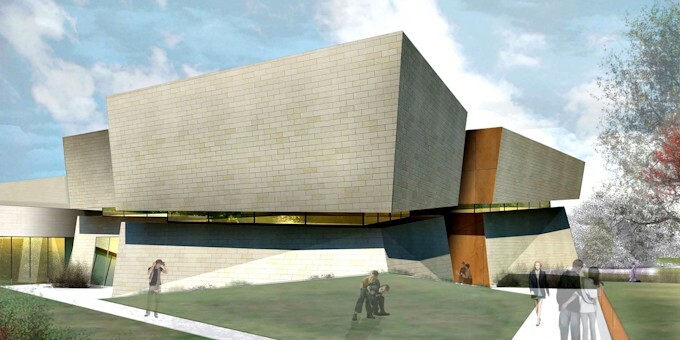 The 200,000 square foot addition, designed by London architect David Chipperfield, provides for new gallery space, a fully accessible entrance, public space, a new restaurant which will overlook Art Hill, and more than 300 parking spaces in a below-grade parking garage. While fairly large, the addition has a relatively subtle exterior appearance. The above-grade, visible, portion of the building consists of large, clean expanses of glass and monumental planes of highly polished black concrete. The reflectivity of the façade adds tremendous depth to the surface and mirrors the surrounding park, comfortably integrating itself into the landscape. 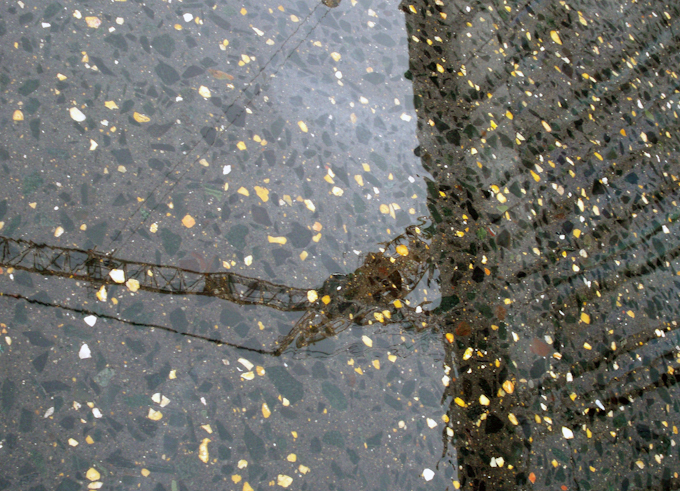 The concrete mix design for the panels consists of a variety of unique elements including Meramec Gravel, a natural river stone from Missouri, glacial sand, black pigment, and Dresser Trap Rock. Known as one of North America’s hardest rocks, trap rock is an altered basalt, or volcanic (non-porous) rock. 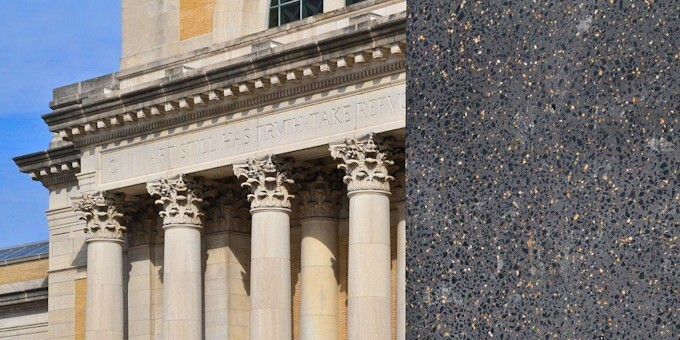 While the unique rock in bolder form exhibits subtle hues of gray, blues, reds, pink, and purples, the dark gray color dominates in its crushed aggregate form. 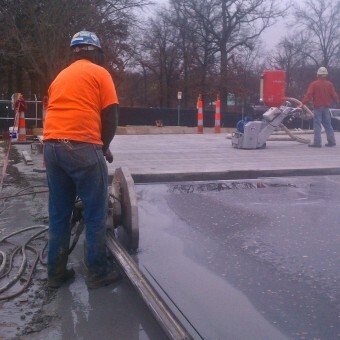 Fenix Construction Company, a leading St. Louis based concrete contractor and member of the Tilt-Up Concrete Association, was awarded the job and served as the Tilt-Up subcontractor. Early versions of the project specifications were extremely strict, rejecting any panels with even hairline cracks. When contractors refused to bid the project, the specifications were modified to allow for cracks of 1/32” and a few other concessions, yet still remained very strict. 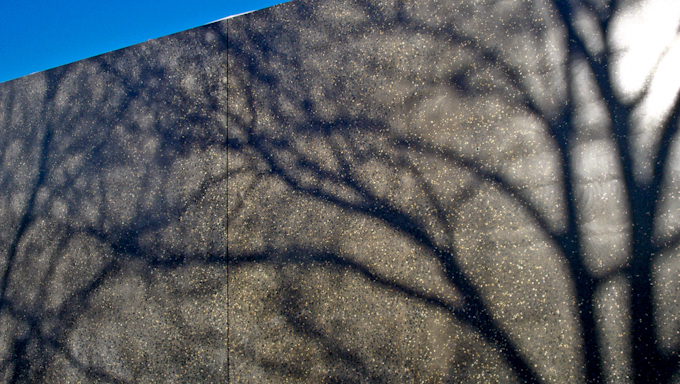 The 23 panels were formed, cast, and finished on casting beds surrounding the structure. “A few panels were cast on the landscaped lid over the parking garage. The landscape lid is designed for heavy soil loads, so the loads imposed by the construction process were manageable,” said Johnson. “Hoisting cranes were placed outside the building footprint in strategic locations needed to place every panel.” The 22-foot-tall panels range in width from 12 feet to 42 feet. 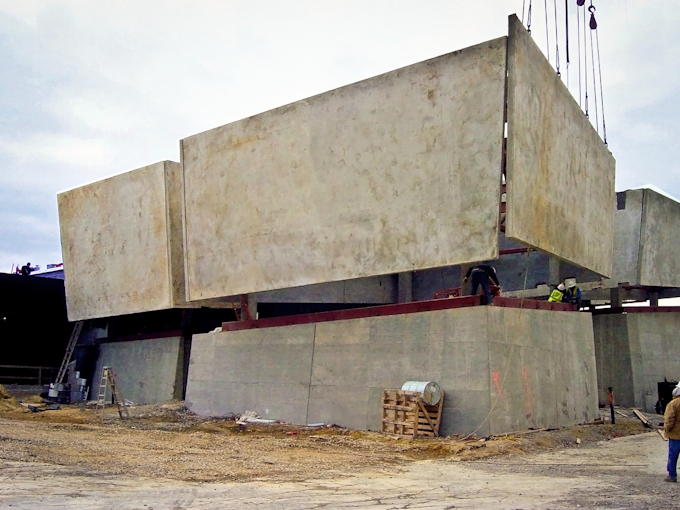 To control cracking, the 7-inch thick panels were designed to a greater stiffness of resulting in a higher cross-sectional steel area than the average Tilt-Up panel. 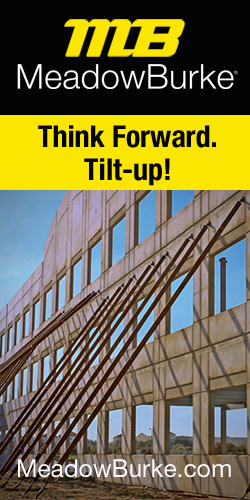 The technology employed to lift the architecturally sophisticated panels is ironically 30-40 years old and rarely used any longer on traditional Tilt-Up jobs. Due to the fact the panels were cast face up to allow for finishing, the location and size of lifting inserts was a critical issue. Scott Collins, P.E., Assistant Chief Engineer for TCA Sustaining Member Meadow Burke who did the lifting and bracing design for the project was brought on as a consultant very early in the process. According to Collins, “Initially, the desire was to completely eliminate the need for lifting inserts on the face of the panel.” When that was determined to be impractical, the suggestion was made to utilize small coil inserts, which would create a much smaller affected area on the face of the panel. 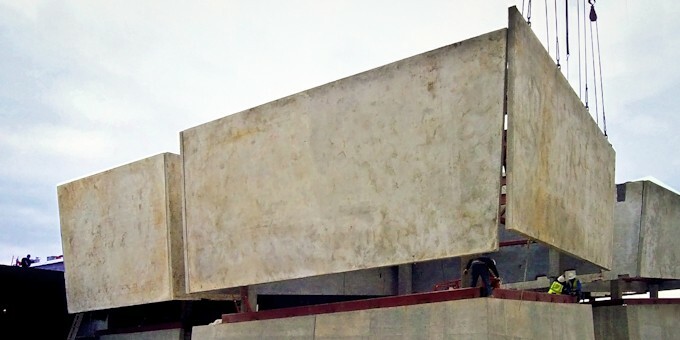 Fenix Construction Company produced several mock-ups of various patching strategies demonstrating the small irregular hole could be finished to look like a piece of aggregate blending into the finished surface seamlessly. 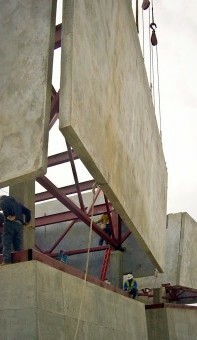 The erection of the panels was completed in two steps. First, rigging was attached to swivel lift plates connected to the panels with a bolt thread into the coil inserts. The panels were lifted to a vertical position using these lift points and braced temporarily from the opposite (unfinished) side. The rigging was then transferred from the face of the panel to lifting inserts cast in the top edge of the panel. Finally, the panels were lifted into place and welded off to the structure while being set. The lifting design was made even more complicated by large returns on various panels. The design team wished to avoid joints at the corners of the building. To accomplish this, corner panels were cast with 42-inch returns providing a continuous, monolithic exterior appearance. Carl Gregov, Shop Manager at Concrete Coring Company of Saint Louis, explained how these returns also complicated the polishing process. 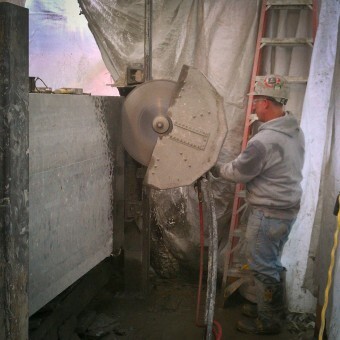 The return legs of the panels were poured 1 inch thicker than the rest of the panel and were flush cut to width by a hydraulic-powered concrete saw on a track. Many shallow passes were made to maintain control and meet the extremely tight tolerances. Due to the slim margin for error, all panel edges were over-poured and cut to size. This process not only ensured the dimensional accuracy of the panels and a crisp clean edge, but it also reduced the time needed to polish the burdensome edges and returns. Additionally, by cutting the edges after the face of the panels had been polished, the polishing process could be taken to the edge without fear of chipping. Towards the face of the panel, the distribution of the aggregate was fairly irregular. Because of this, and to get the finish desired by the design team, the cutting, grinding and polishing process had to go deeper into the panel. 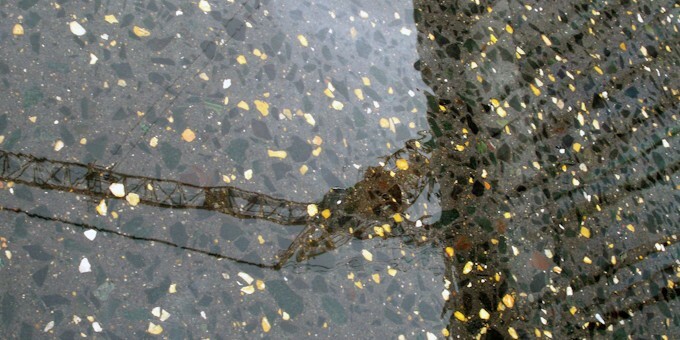 The custom-configured diamond pads were designed especially for the project mix that included two extraordinarily hard types of rock. A grouting compound was used to fill any porosity as well as a densifier to solidify the gout. The panels were finished with a 1,500-grit resin polishing pad and will be sealed once in place. 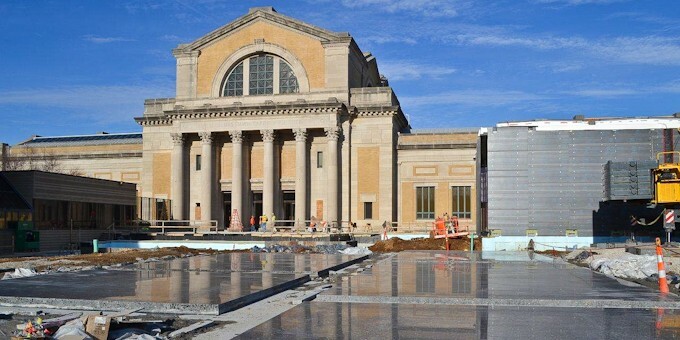 While traditional applications of the Tilt-Up concrete construction method continue to dominate certain markets (demonstrating the greatest benefits of speed, economy and safety) non-traditional applications such as the National Museum of Health and Medicine and the Saint Louis Art Museum, continue to open new doors for the method. 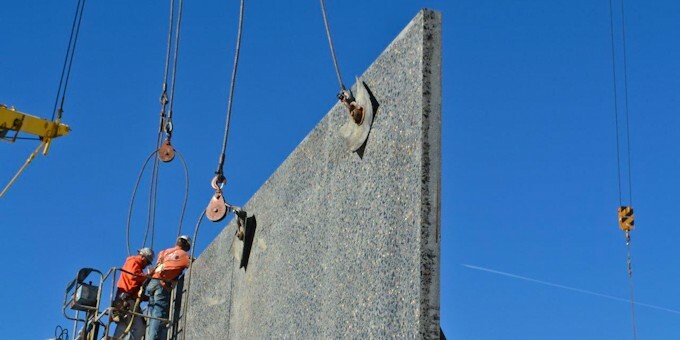 With a rapidly expanding precedent of use on high profile projects demanding extreme performance, unparalleled aesthetic and sustainable solutions, along with the method’s long history of delivering unmatched value, look for Tilt-Up concrete construction to be considered with increasing regularity for almost any project.